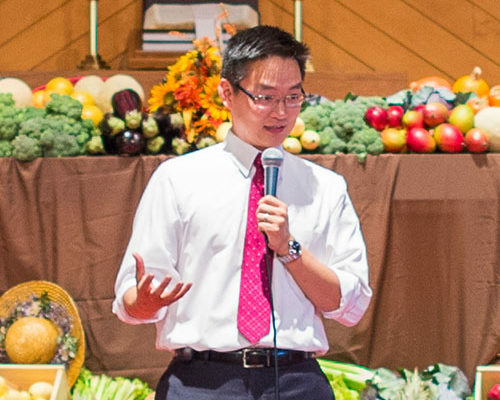 Pastor Sam Park was born and raised in the New York City area. He thought he was going into medicine or architecture but God began to tug at his heart to be in pastoral ministry beginning with a gracious promise of blessing while he was on a mission trip to Mexico. After graduating Drew Theological School, he served churches in New York and Maryland and was ordained in 2008. He joined Arcola Covenant Community as lead pastor in September 2013. Pastor Sam has a heart for the local church and missions, and loves to see disciples of Jesus making disciples of Jesus. He and his wife Grace are blessed with two wonderful children. When not involved in ministry, one of the things he likes to do is to spend time working with his hands – whether playing with Legos or making home repairs. He’s been told he has a sweet tooth. Kun has been part of ACC over 10 years after looking for a local community to join. He joined as a staff and serves the role of IT Manager whom maintains all technical aspects of ACC’s online and offline needs.